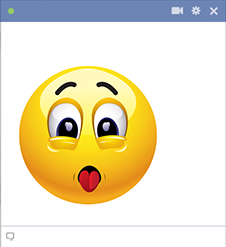 This emoticon can help you get your point across as only a stuck out tongue can! We've designed a vast array of emoticons and smileys to help you express yourself creatively. Start using them now whenever you Facebook. Start a trend so your FB friends will begin using them too!